Robert Jakobsen's line includes jewelry boxes, picture frames, business card boxes, in boxes, and custom made furniture. They are made from local and exotic woods or wood that is reclaimed from wood pallets. Hazy Jean is a Canadian greeting card company offering over 500 seasonal and everyday designs. Since 2001 we've been creating and manufacturing our cards in Canada on recycled and sustainably resourced paper - and always will! ONU Body Care specializes in skin care problems. Natural omega 3-6-9, Anti-imflammatory and retinol source. Doctor endorsed. ONU has all your skin care needs in mind. Many testimonials and happy customers. Visit our site for more information. 301 Languille Road, Edgewood, B.C. Handcrafted eco friendly products made from 100% Canadian wool. 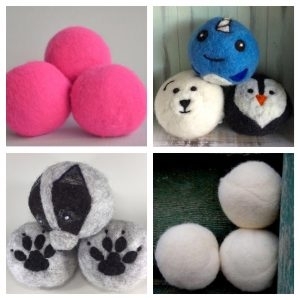 We specialize in wool dryer balls of many colours and patterns. 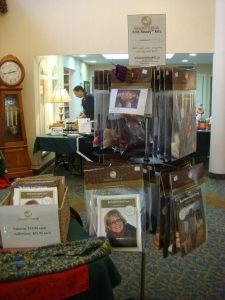 We also handcraft coffee cozies, ornaments,felted soap, merino knitwear and more! Nature's Knit-ch designs and manufactures original knitting patterns and knitting kits using Canadian-sourced natural fibres. We offer ultrachic bamboo clothing and fashion accessories made in Canada. Hooded dresses, jumpsuits and sweaters with georgous generous cowl necks made with bamboo viscose fabric.